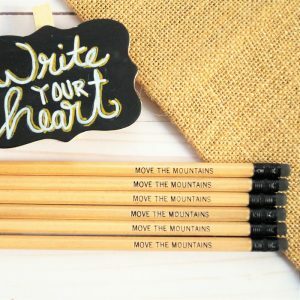 Use safe, Move the Mountains approved, dry Bible highlighters to highlight important sections of Scripture in your Bible. 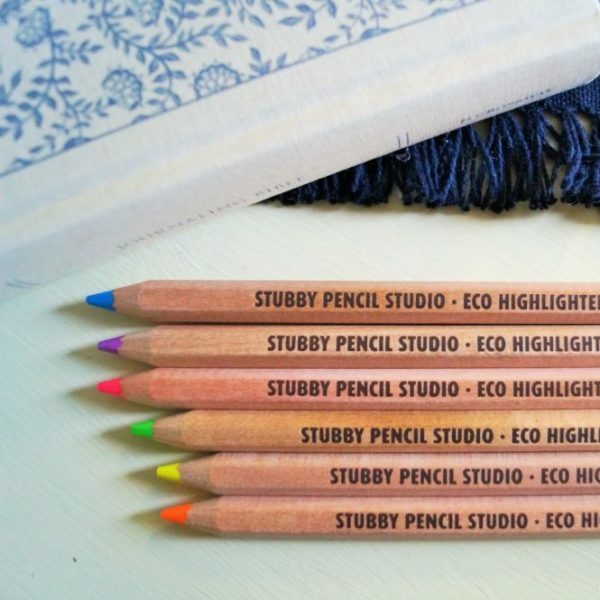 They are a pencil style highlighter, not a wet, ink based highlighter. Our eco friendly wooden highlighters are the very best highlighters for thin Bible pages because they never bleed like normal highlighters! 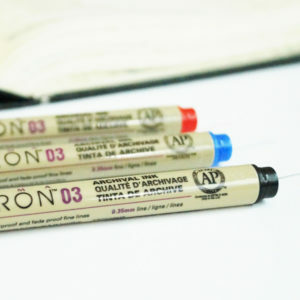 Would you like to learn more about which art supplies we consider “Journaling Bible Approved”? Click here to see our helpful PDF! 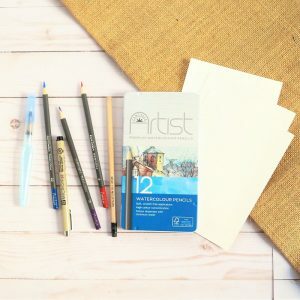 Bible journaling is a creative technique used to study the Bible, get inspired artistically by the Word of God, connect with Him and worship Him, and it is an opportunity to share your faith with others. It is writing, painting, doodling, poetry, sketching, and more. 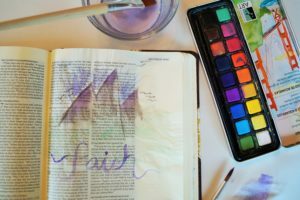 Bible journaling can be used to hear God, to learn how to be led by the Holy Spirit, to allow Jesus to heal a broken heart, to begin an adventure with God, to fall more in love with His Word, and so much more. 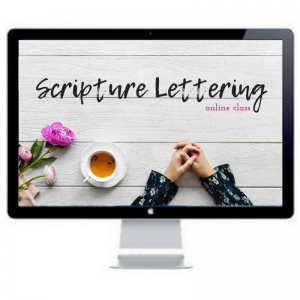 Would you like to learn how to start Bible journaling? 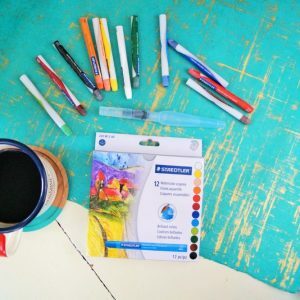 Click here to read our helpful article, “How to Start Bible Journaling in 3 Steps”.